Promote the biggest party of the year with the Year Neon Lights Flyer. 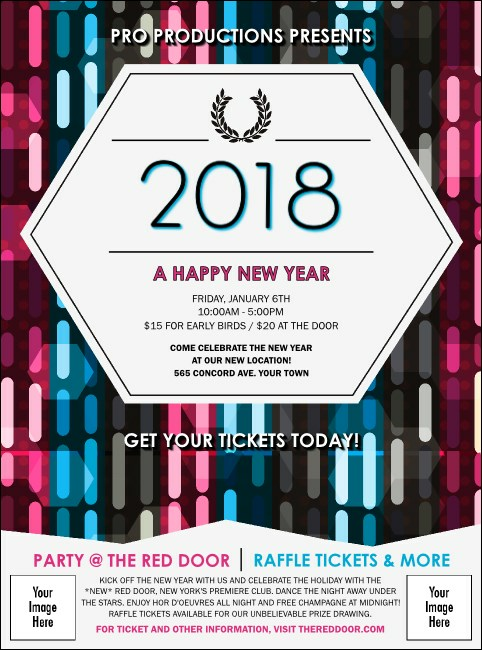 This flashy flyer includes beautiful pink and blue lights in the background, with pink and blue text against a white backdrop to state the event details. Two custom images help you showcase your sponsors or special guests!